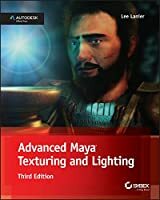 Advanced Maya Texturing and Lighting, Third Edition leadsyou through the latest advanced techniques for adding realisticdetail to your models. This new edition is up-to-date with thelatest Maya texturing, lighting, and rendering features, includingan exploration of the Node Editor, new Maya utility nodes andexpanded coverage of mental ray shaders, and render settings. Theproven tutorials are culled from real-world experience and refinedto give you the ultimate in practical skills. You'll learn workflowtips and tricks, the construction of custom shading networks, andthe application of time-saving tools that bring your project fromconcept to reality. The companion website features severalgigabytes of Maya scene files, texture bitmaps, and QuickTimemovies that support the exercises in the book, giving youeverything you need to advance your animation skillset. This book helps you take your rendering skills to the next levelwith the advanced tools and techniques that take animation fromgood to great. If you're ready to take a big step forward and fine-tune yourstyle, Advanced Maya Texturing and Lighting, Third Editionis the practical, hands-on guide you need.